I recently returned from the Incident Response to Terrorist Bombings Course (IRTB) and learned many lessons, the most illuminating was the reverence for dangerous things and situations. Prior to witnessing some of the detonations at this class I thought, “Yeah, yeah, safety distances and recommendations. Blah, blah, blah.” After witnessing the devastation wrought by even a small device I am sobered by the realization of just how weak we really are and that any moment might be our last. Our strength is in knowledge and the USE of this knowledge for our safety and the safety of others in our daily operations. 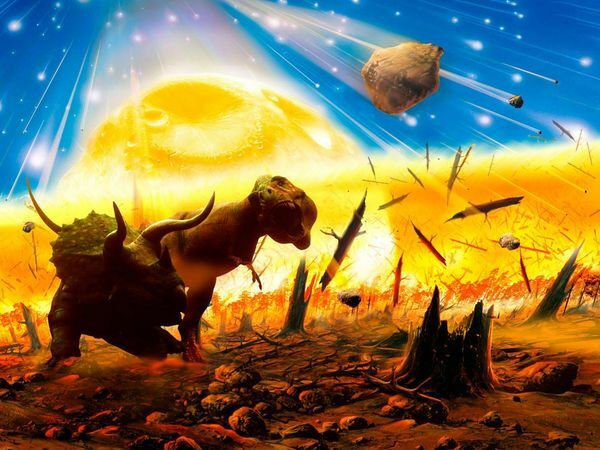 Dinosaurs are extinct for a reason, they did not adapt to the changing atmosphere on Earth. 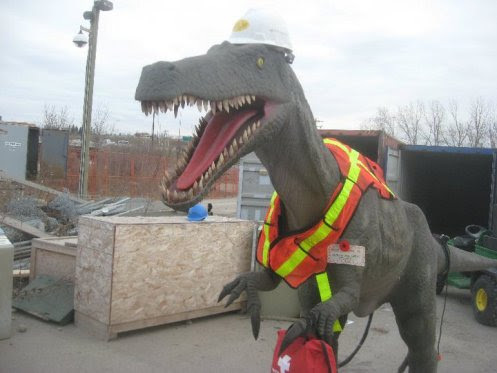 In our case safety is the changing atmosphere and we have our own dinosaurs. A dinosaur is an individual or individuals within an organization that disregard or block new ideas or mechanisms to improve the organization or responses to events. 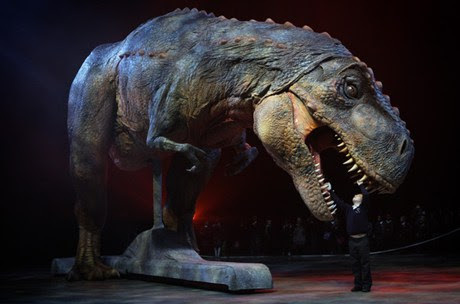 Unfortunately, our dinosaurs can endanger all of our lives not just their own. In our business we are exposed to a variety of possibly dangerous situations and have to be continually mindful of safety. This starts with planning via training, NFPA and OSHA codes, disaster and public health planning to name a few. Safety also includes the proper use of personal protective items like turnout gear, helmets, gloves and masks. We practice situational awareness and scan the scene and continually reassess for changing conditions. We do all this in the name of safety, but how often do we refresh our minds looking for innovative ways to improve our planning, response or gear? Life Safety is our mission and the most important life is your own. This is controversial to some although I don’t understand why, I really like my life. On a serious note, not only will response to the incident you are going to or arrived at be delayed if you are injured, but secondary units will likely be diverted to you and the initial call will be further delayed. In addition, there is a monetary and emotional cost to your family and organization if you are injured or killed. A small organization can be decimated if other responders leave the organization due to stress resulting from your injury or death. During initial training we are taught about situational awareness and protecting ourselves first. Yes, our job is dangerous but how many of us follow the lessons we learned to mitigate some of this danger? It seems that the longer a responder serves, the less they value the safety lessons they learned initially. While this does not apply to everyone, we all know someone who always comments, “ Well, back in the day we…” and means it. We all have experience with this member or members stall tactics and nay saying when trying to implement proactive safety changes or any changes at all. They also usually use the secondary phrase, “It’s worked fine for this long…” Indeed, these dinosaurs have been the death knell of many organizations because they refuse to move into the modern era. So what do we do about this culture of nostalgia to be respectful of our past yet embrace advances in responder safety? 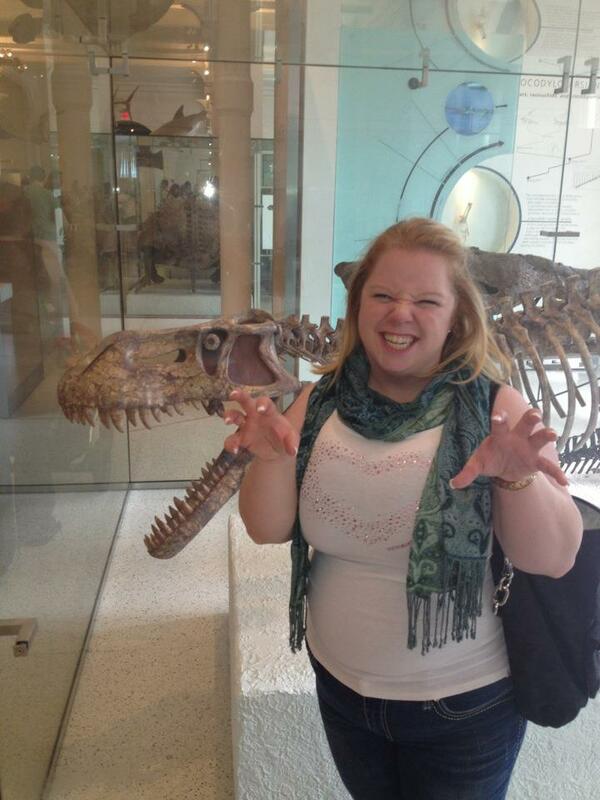 How can we convert these dinosaurs to change their views and not taint new responders with their example? Veteran responders should be an example of how to be safe, not an example of what not to do. Whether we like it or not veteran responders are an example to the new members of our agencies even if it is the wrong lesson taught. Is this how your dinosaur treats you? The following are some suggestions on how to deal with this phenomena in your agency. They are not all inclusive and may only be a part of your plan to implement improvements as there are several different types of agencies and models used in our region and nation. Research what other reputable agencies are doing in your region and the nation. These plans are usually evidence based and with implementation the kinks have been ironed out already. If this is your agency’s first time updating your Standard Operating Guidelines (SOG’s) or Standard Operating Procedures (SOP’s) adapting a current plan will be easier than starting from scratch. Your dinosaurs will have a difficult time refuting these plans as they are already being used in similar agencies. Make your members NEED to change. This depends on your responders, what is important to them? This could be new training, new improved gear, new gadgets. Show them how this one uncomfortable moment of modifying their behavior will benefit them in the long run. Present the effects of non-action. This could be examples of exposure to lawsuits or Line of Duty Deaths (LODDs) that have occurred due to similar situations. Show how your organization could be held to account for their lack of planning. Utilize current safety training programs. There are many training programs across the country focusing on safety. Everyone Goes Home is a fire based program, but has excellent potential in the EMS community. Contact your local representative and request a presentation! The Department of Transportation is also an excellent resource and most partner with state level fire and EMS organizations to present safety programs. Do some research, there are lots of free programs out there. Reassure your dinosaurs and others that might not be ready for buy in. Much resistance to change is the belief that you are trying to usurp them or destroy the organization. Let them know that the entire unit needs to buy in for complete safety implementation and that your interest in in protecting the responders and organization. Unfortunately, in my experience those most averse to change are not the ones in the street. That may be another part of the problem your members need to address. Like I said above, these recommendations are not exhaustive, only thoughts to get started. I practice EMS in New Jersey and we have been fractured for quite awhile, but the process for safety across the board and unity in our services has moved forward since I started. Though it is in small increments the safety at our organizations have improved. Developing, implementing and practicing safety standards is a team process. The standards are useless if even a few don’t follow them as we operate as a team. This may be something that you start and others finish; don’t be discouraged. Our business is to save others, we must keep ourselves safe to accomplish this task.